Sleaford Town were out of luck as they paid a heavy price for failing to turn dominance into goals at Harborough Town on Saturday. With manager Jamie Shaw unavailable, Jay Harrison took the reins for the United Counties League trip, and gave striker Scott Coupland his debut. Town went ahead inside nine minutes through Harry Millard’s scorching finish from 25 yards. Couzens headed wide from Archie Moyses’ cross, and two minutes later Harborough were level after poor defending. Michael Hayden headed agonisingly wide after a great Town move, and Town were again made to pay just minutes later when the hosts made it 2-1. Sleaford piled on the pressure after the break, with Millard and Coupland forcing saves. Hayden then hit the bar from six yards and Smith’s effort was disallowed for a foul on the keeper. But despite Town’s dominance of the second half, the hosts made it safe in stoppage time with a breakaway third. 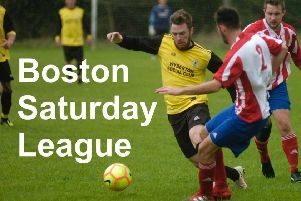 Town sit 10th and host early season leaders Daventry Town on Saturday. Kick-off 3pm.